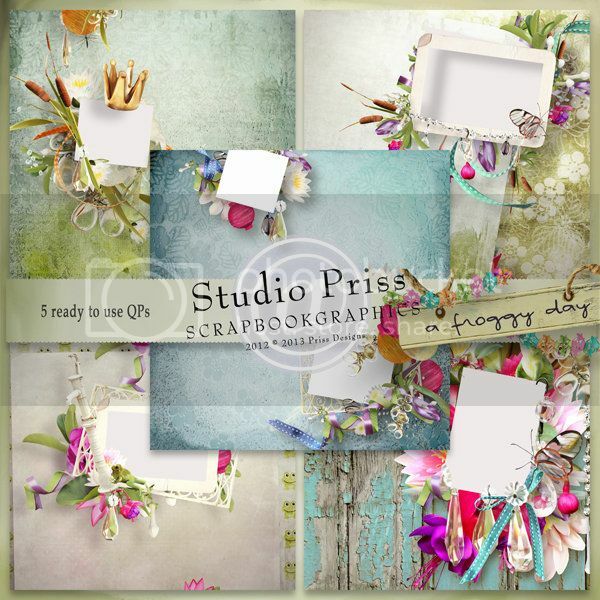 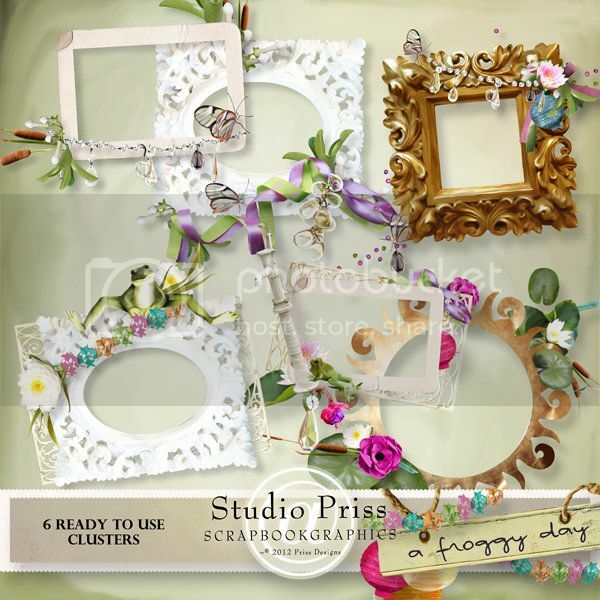 Priss Designs: NEW A Froggy Day collection NOW in my Scrapbookgraphics store! 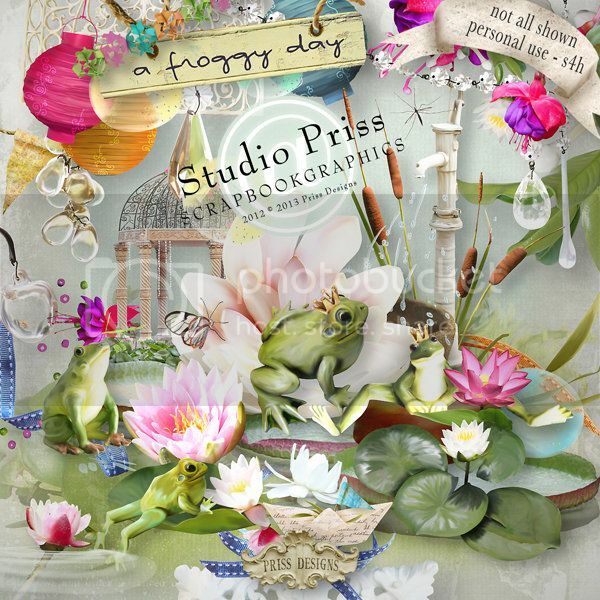 NEW A Froggy Day collection NOW in my Scrapbookgraphics store! 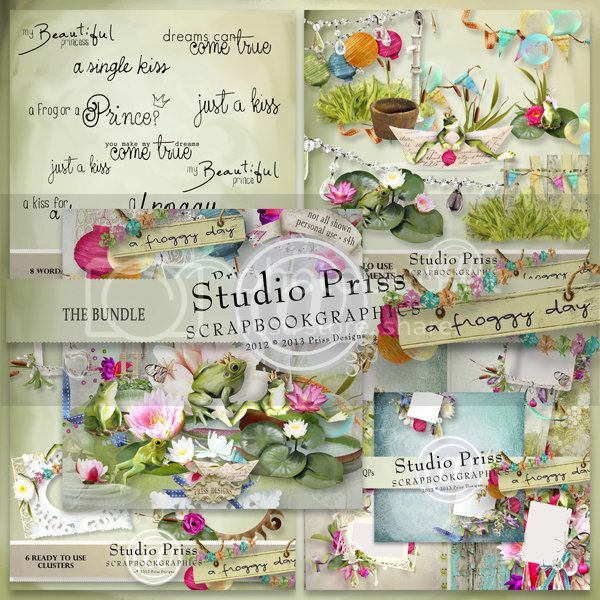 Wow...it has been a busy last month or so, but I have something new for you in my store, and I can't wait to show you! 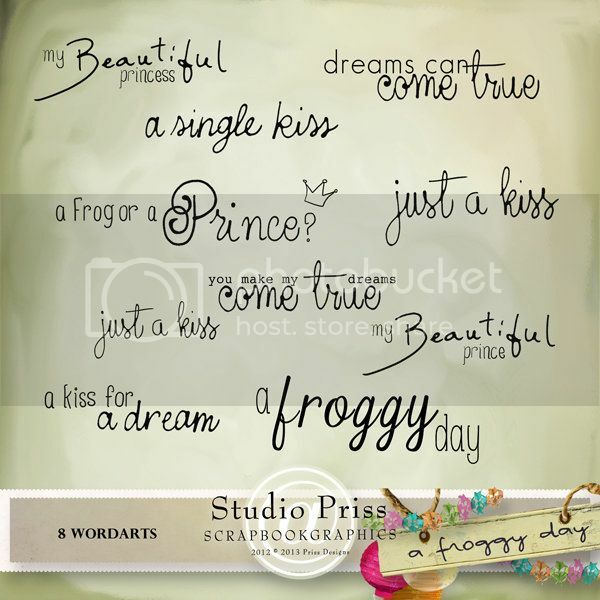 A Froggy Day is a funny collection for rainy days, dreaming about a frog that might turn into a prince... you only need to kiss him! 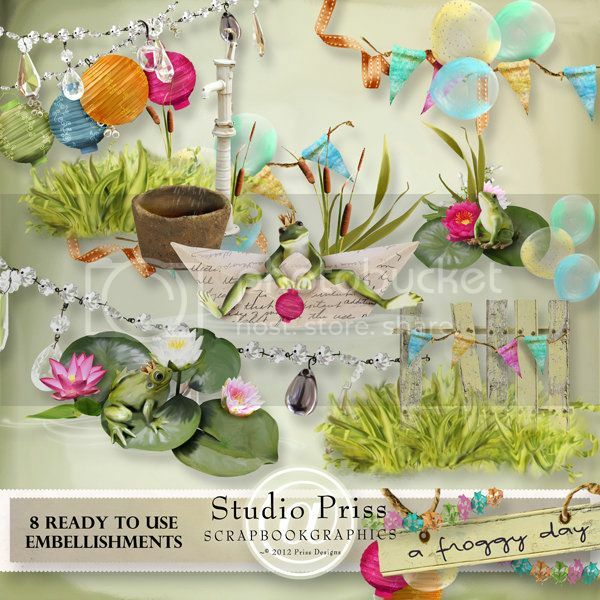 I have the kit as well as some fun add ons, all available NOW in my SBG store!